The Disney World theme parks can be roughly predicted to have higher or lower crowds on certain days of the week compared to other days that week. These predictions come from the combination of the overall patterns of visitation and the presence in the operating calendar of various “attractors” and “repellers”—of which the most significant are variations in operating hours and evening entertainment, and the presence or absence of Extra Magic Hours. Note that by lower crowds, I don’t mean “no crowds” or “inconsequential crowds.” Low crowd periods, as used in this site and its crowd calendars, are low when compared to other times of the year with higher–often spectacularly higher–crowds. So “Low Crowds” does not necessarily mean lower than you think they will be, or a low as you wish they were; it means lower than the other choices you have. And even on the quietest of days, if you arrive at 11a, have a poor plan, don’t make good FastPass+ choices, and target the more popular rides, you will experience long waits. A good plan with well-chosen FastPass+, arrival at the parks well before they open, and a judicious approach to which rides you will visit first, will defeat the crowds almost every week of the year. You can find such plans in my itineraries and in my book. But even so, there is usually some value to also making good choices on which park to visit which day, and this is particularly important during the “party season” which runs from later August through the first two-thirds of December. 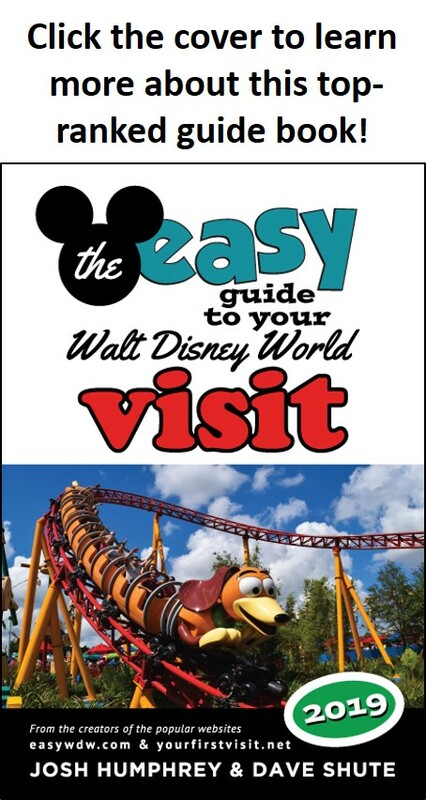 Because both shorter and longer trips typically include weekends, weekends (and Mondays) are typically the times that see the most people in the Disney World parks. Operating hours are often extended over weekends, but not necessarily in proportion to demand, so crowds can be high even during low times of the year. Days when a park has morning Extra Magic Hours will be typically more crowded later that day than they would be without these special hours. This is because these hours disproportionately attract the ~75,000 people who are eligible for them, many of whom don’t have hoppers and thus have that as their park all day. It is particularly critical for folks not eligible for EMH—or those who are eligible but can’t get to the park well before EMH begins—to avoid such parks on days they have morning EMH. Animal Kingdom is typically least busy on Tuesdays, Wednesdays, and Sundays. It’s busiest on Mondays, Fridays, and Saturdays, particularly on days with morning Extra Magic Hours. Epcot is generally least busy on Mondays, Wednesdays, and Fridays. Saturdays are typically busiest with most Tuesdays and Thursdays seeing longer waits than other weekdays. Mondays, Wednesdays, and Saturdays are usually best for Hollywood Studios. Sundays and Fridays typically see higher attendance. These patterns come from typical travel schedules, the typical ways people wish to order their visits to the parks, and the pull of the typical Extra Magic Hours schedule. Traditionally, the most common pattern has visitors seeing Magic Kingdom first, and the Studios and Animal Kingdom last. The powerful impact of Flight of Passage, though, has been shifting Animal Kingdom visits to earlier in the week. During weeks with highly varied show schedules and/or operating hours, the parks can show real variation in crowding across the week. This is particularly an issue many weeks in later August through much of December, when because of Mickey’s Not-So-Scary Halloween Party and Mickey’s Very Merry Christmas Party the Magic Kingdom often closes to the general public using regular tickets at 6p, with no fireworks available to the general public, multiple times a week. As a result, people are both “repelled” by the 6p closings and lack of evening shows, reducing crowds those days, and “attracted” to the days when the park is both open late and showing fireworks…and those days can be mobbed. During the Halloween part of this period, Epcot’s Food & Wine Festival will attract many locals to World Showcase on weekends and especially Friday and Saturday evenings, leading to (tipsy) crowds in World Showcase those nights. The best way to handle these party season periods is to see the Magic Kingdom on days when it closes at 6p, and see its evening events on a different day, without having spent the earlier part of that day at MK except with a few select FastPass+. Moreover, be particularly careful to avoid other parks with Extra Magic Hours on days Magic Kingdom closes at 6p, as those parks can be particularly mobbed on such days, with people repelled from MK by the 6p close and then being attracted to the park with the Extra Magic Hours. This last point is an example of how to think about crowds at Disney World. 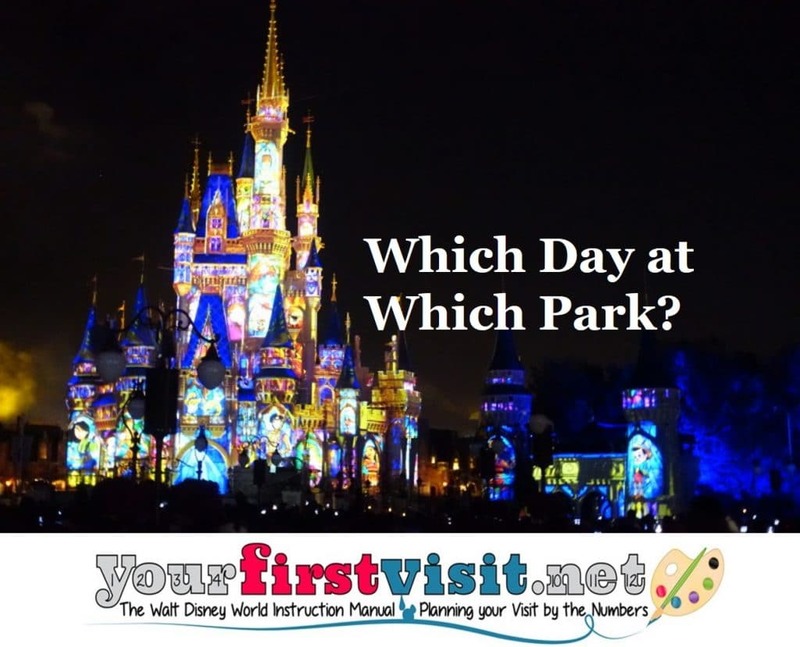 Think about why you are drawn to Walt Disney World in general during a particular week, or to a specific park on a particular day, and whether your reasons are the same as those of the typical family with children. If the reasons you have are also those of the typical family with children, then you will likely run into disproportionate crowds. So as much as you can, do the opposite of the typical family–that’s the judo. Any advice on parks to see avoid arriving 9/27-leaving 10/1 -we have 4 day hoppers. Thank you! Lin, I will be able to help, but only after Disney’s calendar for then comes out, which won’t be for threeish months–it’s out 180 days before. Hi Dave – How do the “special event hours” affect wait times at rope drop? We will be at WDW June 1-7, 2019. I noticed that they have added “special event hours” to the parks we are visiting on 3 of the days: MK on 06/02 (morning), AK on 06/04 (evening), and HS on 06/05 (morning). Hi Mark, they sell so few tickets to these that have have next-to-no impact. Thank you, Dave. That is reassuring.